Summary: According to Gareth, when he started blogging, the whole thing was new to him. Well, Gareth and world-traveller Kirsty turned it into one of the best ones out there! The website and videos is a must to see if you're looking for inspiration. They are covering a huge distance driving from London to Sydney. Click on the link below to check it our yourself. Highlight: it is hard to choose, there are so many things to point out, but it must be the vehicle build. You can see and expedition equipped Troopy materialise in front of your eyes. Summary: Through the miracles of Google Translator Chrome Extension, you will be able to read this great round the world blog easily. The adventures of this German couple are shared through great travel reports, pictures and tips! Click on the link below now! Highlight: you can learn from these guys a lot, they share every part of their experience, including a break-in in St Luis. 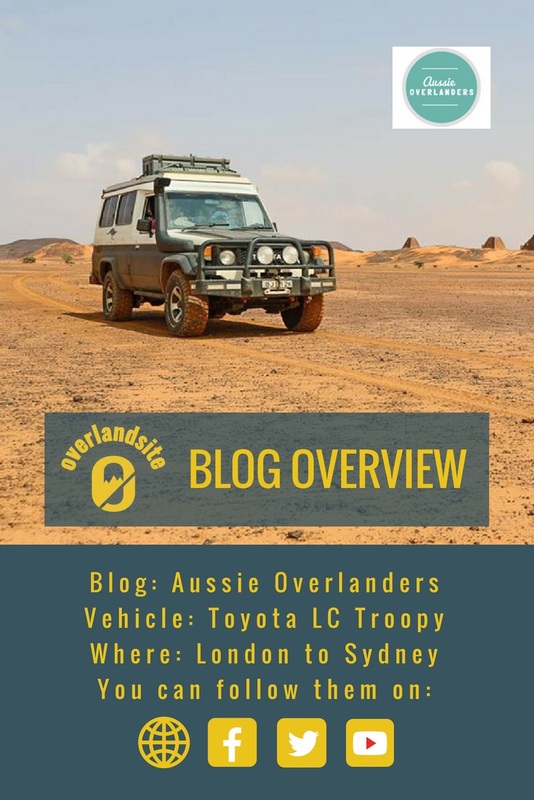 Summary: Tucks' Truck is potentially one of the most famous overland blogs, and even one of the most followed travel blogs. Marcus and Julie have been on the road for years, currently in Central America. Their detailed, high quality blog is a joy to read. Click on the link below! Highlight: Posts from five continents, including the Antarctica!